The Leisure Lanes team is dedicated to providing a quality living experience to both new and current residents. The first priority of our staff is ensuring the safety and comfort of all of our residents. Call (781) 438-0867 today for more information. Kirsten has many years of Portfolio Property Management experience in both the Commercial and Residential arenas. As Property Manager, she is responsible for all aspects of the property and takes great pride in making every current and future resident’s experience a positive one by delivering exceptional customer service. 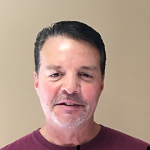 Erik has years of experience in contractor work and enjoys working on property improvements and special projects. Erik enjoys meeting and talking with all tenants who call Leisure Lane and 45 North their home. 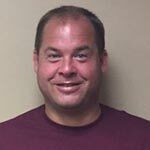 Erik is a working supervisor who ensures all needs of the property and apartments are met. 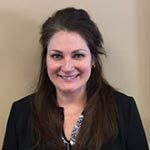 Vicki performs the duties of the Office Generalist for both 45 North and Leisure Lane in Stoneham and has worked in the insurance and banking industries as an aide in many administrative capacities. Vicki’s pleasant personality, professionalism and attention to detail are an asset to our staff. Mike has over a decade of experience working in the maintenance field. Mike’s calm demeanor and strong work ethic attribute to the success of Leisure Lane and 45 North Street. His strengths are carpentry and construction. As the newest member of our maintenance team, Mike comes to work ready and eager to perform a job of excellence everyday. 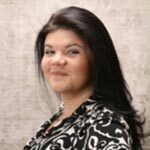 Eder began working for Brickpoint Properties in the Summer of 2015. 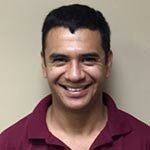 Eder brings his strong work ethic from the grounds of Leisure Lane and 45 North Street inside working year round. Eder is a vital component to the success of our extensive snow removal process here at Leisure Lane and 45 North. 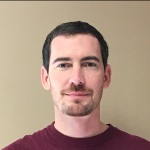 Mike has over a decade of experience working in the maintenance field. Mike has worked in high rise buildings in Boston and is familiar with multi-family resident management. Mike is very mechanically inclined and works on many facets of machinery for Leisure Lane and 45 North Street.